186 pages | 5 B/W Illus. Leadership and Coherence investigates how leaders justify their decisions, and how they bring about coherence amongst followers. Taking a cognitive approach, it builds on the work of Hannah Arendt to attempt a phenomenology of judgment, examining how the moral imperative experienced by leaders can be shared by their community so both leader and led are guided by a mutual purpose. Through biographical case studies of historical leaders, this book illustrates how successful leaders operate in a turbulent world, not only making their own decisions but also gathering likeminded followers to share in a common vision and shared sense of purpose. Chapter 10 Transcendence or a Romantic delusion…or worse? Nathan W. Harter is Professor of Leadership and American Studies at Christopher Newport University, USA. Why not download our Routledge FreeBook Becoming a Better Leader: Applying Key Strategies? 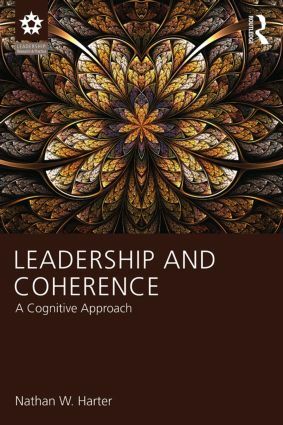 This resource - produced in partnership with the International Leadership Association - contains a chapter from Leadership and Coherence: A Cognitive Approach, along with a wealth of other information on developing effective leadership skills.